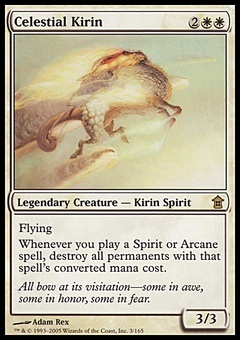 Abzan Charm ($0.12) Price History from major stores - Khans of Tarkir - MTGPrice.com Values for Ebay, Amazon and hobby stores! Card Text: Choose one - ? 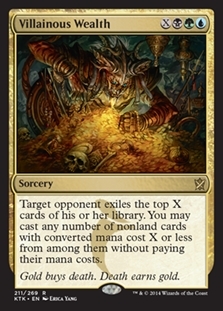 Exile target creature with power 3 or greater. ? You draw two cards and you lose 2 life. ? 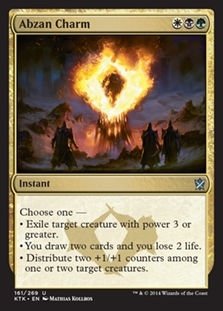 Distribute two +1/+1 counters among one or two target creatures.